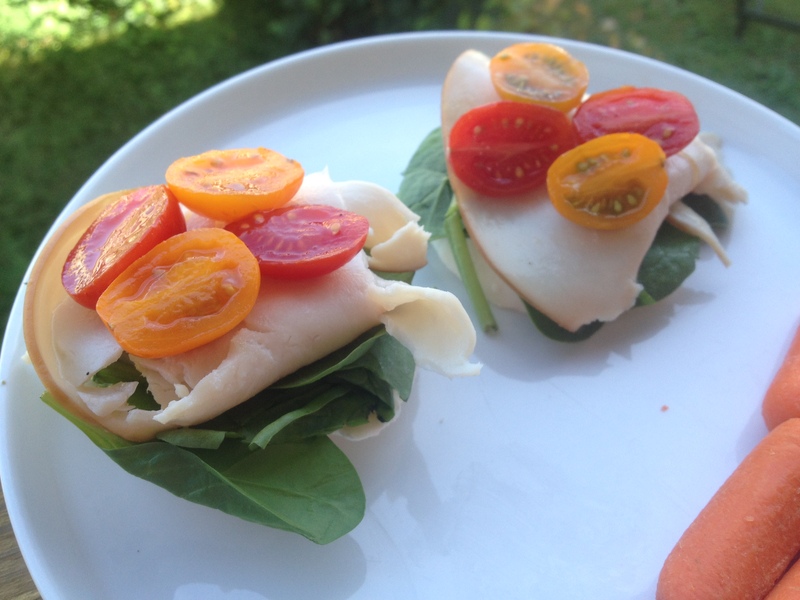 One of my favorite sandwiches to make is just turkey, mozzarella, spinach, and tomato. When I’m craving that but am trying to go light on the carbs, I make it without the bread. To some this seems a bit unusual at first, but it works. You just stack all of the ingredients on top of one another, and eat it with a fork and knife. I used cherry tomatoes in what’s pictured here, but I prefer it with sliced tomatoes – it makes it easier to eat. Another great alternative to a sandwich is to take some spinach and wrap some turkey around it. I prefer the taste of the stacked mozzarella, spinach, turkey, and tomato, but this option is better for when you’re on-the-go. You can easily make these turkey spinach rollups and eat them when you’re in a hurry. Next time you’re craving a sandwich but don’t want all the carbs, just try it without the bread! 2019 Copyright Lisa Kocay. Blossom Feminine by Blossom Themes. Powered by WordPress .